As with all our testing here at Profoil, no matter what we have to test, we test it thoroughly. When we began sampling our new hot stamping foils, we also planned well in advance to test them on a large range of different substrates. Our RP foil range not only works particularly well on paper and card stocks, but it performs excellent on both gloss and matt film laminated stocks. 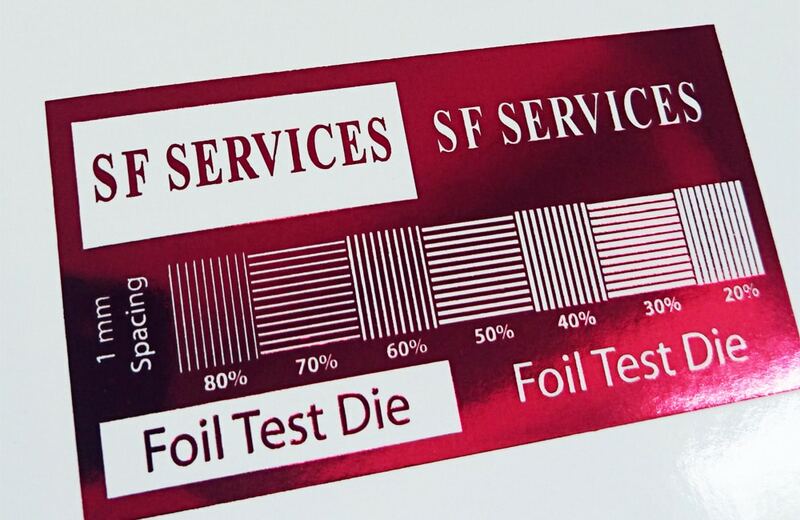 In the past, we have found graphics foils to not be this universal, and often or not, a separate grade of foil is required for foiling on to laminates. In our testing, we consistently found that with a basic makeready setup, the RP grade of foil works very well across a wide temperature range of 90 – 130 degrees and seems to go down very well, often first time with the laminate stock samples. This leaves minimal makeready or temperature adjustments to perfect the stamp. RP is a great workable foil for many general stamping substrates and is available in metallic silver, golds and colours. Don’t forget, you can order the RP grade of foil online, amongst our other grades in conjunction with all your hot foil stamping and embossing consumables, for examples toggle hooks and makeready sheets. Pay only one delivery charge!